My German friend Edith is a great cook. First time I tried Plum Crumble Cake she made I loved it so much that I had to take one more slice,and then..one more. 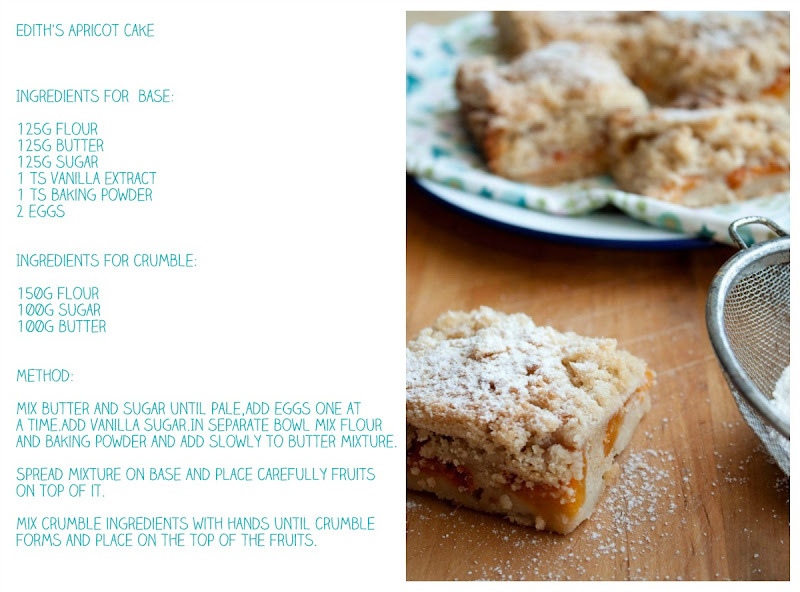 Cake has acid plum flavour combined with crunchy crumble and soft base.Perfect!!! When I asked her for recipe she told me it is easy to make cake, but since I knew she is great cook I thought that probably it is not as easy as she was saying. Some weeks after she sent me recipe. It is definitely one of these recipes that can go to category 'easy but perfect'. Even measurements are matching and easy to remember.If you try it you will love it. We already tried to make it with plum, apple and apricot and my next try will be berries. It looks so good! And tender. I will bookmark the recipe for the summer! This looks so delicious. I must try this! Thanks a lot ladies,this means a lot to me. I love cruble;)) When I make it it is almost as high as the cake. fiz ontem esta receita em casa. em vez da fruta usei uma compota de frutos vermelhos com fruta. Ovisual não fica tão bem, mas ficou delicioso! 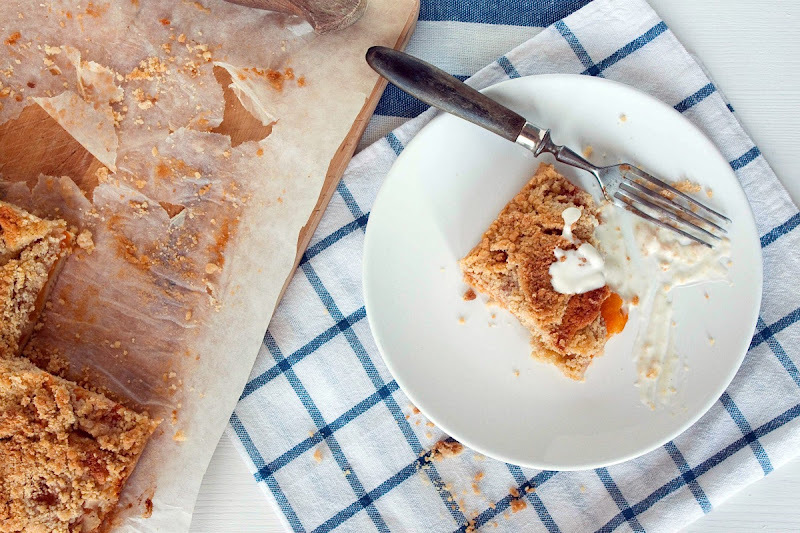 Please complete the recipe for the apricot crumble. How much fruit? Bake at what temp? And for how long? Anonymous:Thank a lot for warning me.I didn't notice that the end of recipe is missing.You need fruit enough to cover base.Baking is at 180C for 50min.